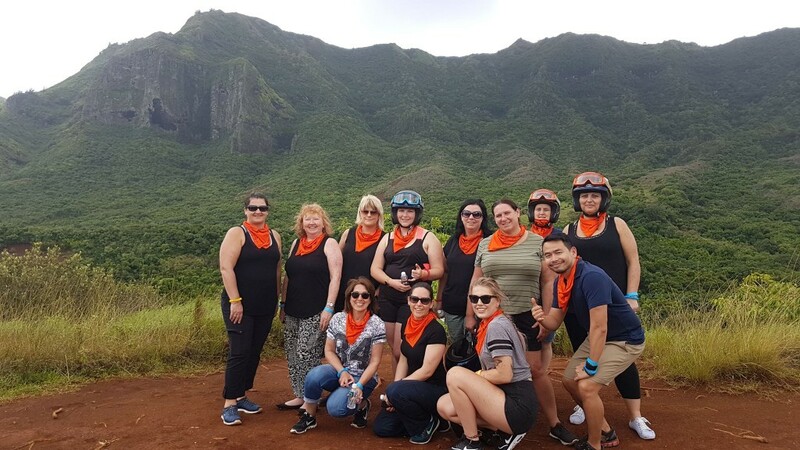 52 Travel Agents explore Hawaii and the photos are in! 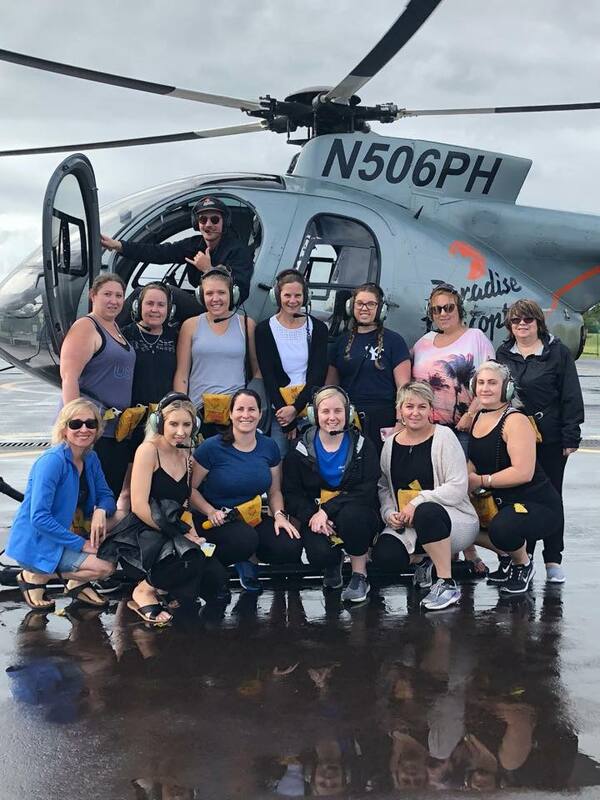 Over fifty travel agents from Australia and New Zealand discovered the best of Hawaii recently on Hawai‘i Tourism Oceania (HTO) and Hawaiian Airlines’ Experience Aloha Hawai‘i Mega Famil. The agents visited the islands of Kaua‘i, Maui, O‘ahu and the Island of Hawai‘i. Enjoying the 2018 Hawaii Food and Wine Festival. From left to right: Brigette Ward, Hawaii Tourism Oceania; Louise Taualii, Helloworld; Elizabeth Frasca, itravel; Michelle Nagy, Flight Centre; Janis McDonald, Hawaiian Airlines; Andrew Hallinan,Travel Managers; Brooke Barrow, Travel Managers; Kylie Nukanuka, The Travel Authority; Bailey Teague, Ignite Travel Group; Michael Kaczmar, Flight Centre; Jo Foster, Travel Managers; Gemma Boyd, Flight Centre and Tina Law, Helloworld. 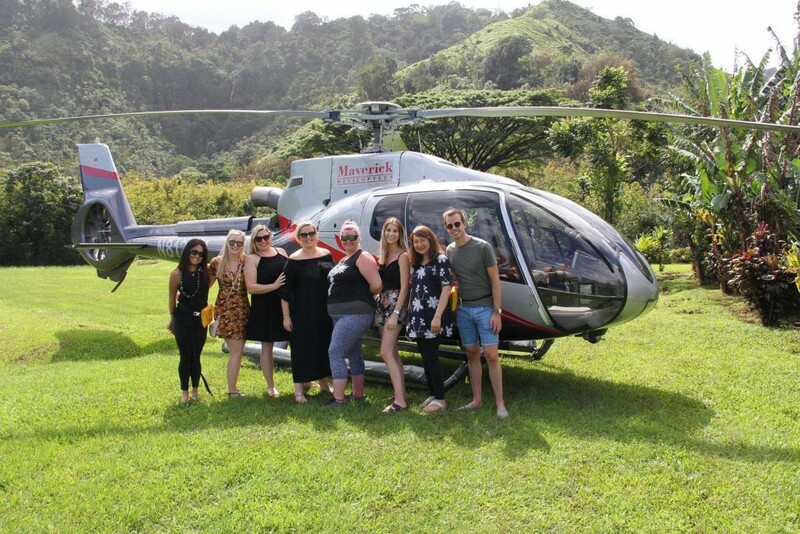 These lucky agents had a bird’s eye view of Maui on the Maverick Helicopters Hana Rainforest tour. From left to right are: Charis Ricafuente, Hawai‘i Tourism Oceania; Kristiarne Sauer, Helloworld Travel Daisy Hill; Sarah Coleman, Flight Centre Birkdale; Kate Broughton, Flight Centre North Lakes; Jade Christoffersen, Flight Centre Charlestown Square; Bridget Kelly, Travel Today; Li Li Sia, Colmslie Travel and Bart Druitt, Hawaiian Airlines. 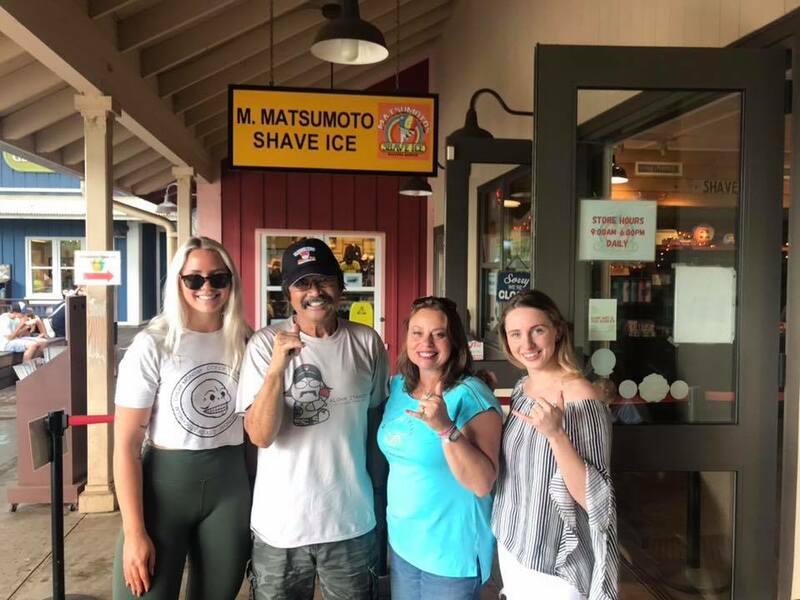 Tasting the wares with Uncle Stan at legendary Matsumoto Shave Ice on the North Shore: From left to right: Gemma Boyd, Flight Centre; Uncle Stan Matsumoto, Matsumoto Shave Ice; Janis McDonald, Hawaiian Airlines and Brigette Ward, Hawaii Tourism Oceania. Discovering secluded Kahala Hotel & Resort on Oahu. From left to right: Tina Law, Helloworld; Elizabeth Frasca, itravel; Louise Taualii, Helloworld; Jo Foster, Travel Managers; Andrew Hallinan, Travel Managers; Brooke Barrow, Travel Managers; Gemma Boyd, Flight Centre; Brigette Ward, Hawaii Tourism Oceania; Janis McDonald, Hawaiian Airlines; Kylie Nukanuka, The Travel Authority. Exploring Hawaii’s great outdoors on the Ultimate Ranch Tour by ATV at Kipu Ranch on Kaua’I are: From left to right, front row – Kristina Acevski, TravelManagers; Anne Parkinson, ITravel Penhurst; Josie Willemsen, House of Travel; Amanda King, Flight Centre Rotorua; Michelle Somlyay, Flight Centre Westfield Woden; Lisa O’Brien, Travel Counsellors; Celeste Arthur, Hawaiian Airlines; Maja Dulic, HelloWorld Circular Quay. 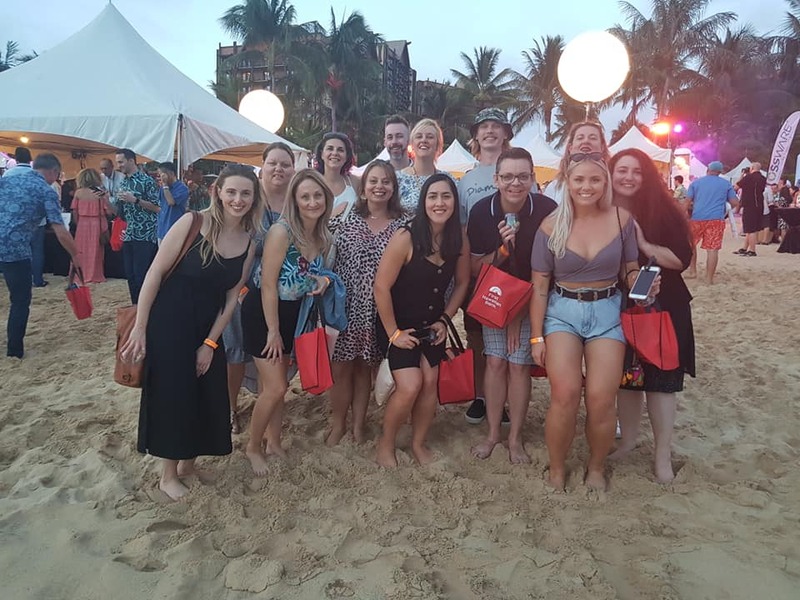 From left to right, second row Louise Leatherbarrow, Travel Advantage; Carmen Ward, HelloWorld Gladstone; Kassandra McKennariey, Flight Centre North Lakes; Kris Phadungkiatipong, Hawaii Tourism Oceania. Top row from left: Tracy King, MTA Travel; Suraya Jenkins, Helloworld Travel Coolangatta; Kathleen Pool, The Travel Directors; Tanya Hurley, Travel Associates; Katarzyna Polak, Helloworld Emu Plainsl; Alison Sharp,Travel Managers; Jodie Garner, Flight Centre Stanhope Gardens; Ellie Mastrapostolos, Helloworld Travel Milton. 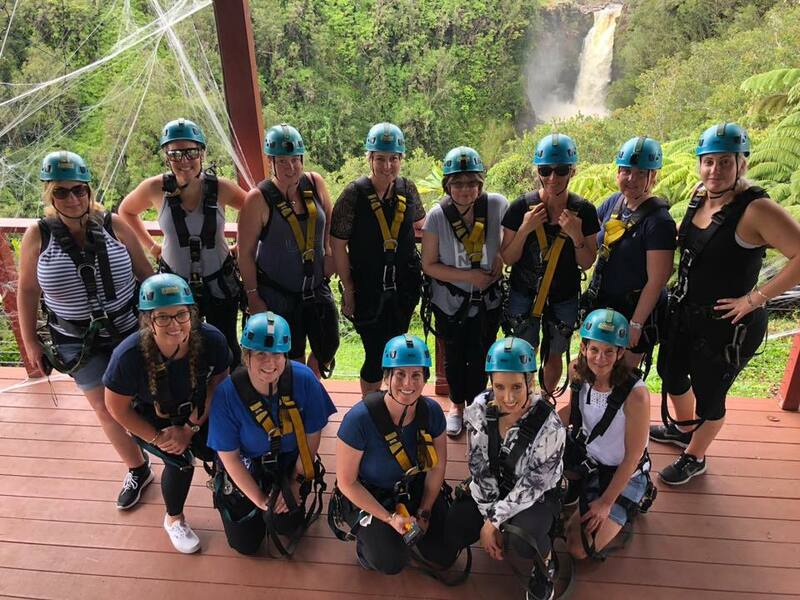 Bottom row from left: Alyssa Harrison, Ignite Travel; Emma Duval, Taylor & Turner Travel Associates; Lindsey O’Neil, Hawaiian Airlines; Rhiannon Williams, Hawaii Tourism Oceania; Fiona Rice, The Travel Authority. Top row from left: Kathleen Pool, The Travel Directors; Jodie Garner, Flight Centre Stanhope Gardens; Suraya Jenkins, Helloworld Travel Coolangatta; Fiona Rice, The Travel Authority; Alyssa Harriso, Ignite Travel; Tracy King, MTA Travel; Katarzyna Polak, Helloworld Emu Plains. 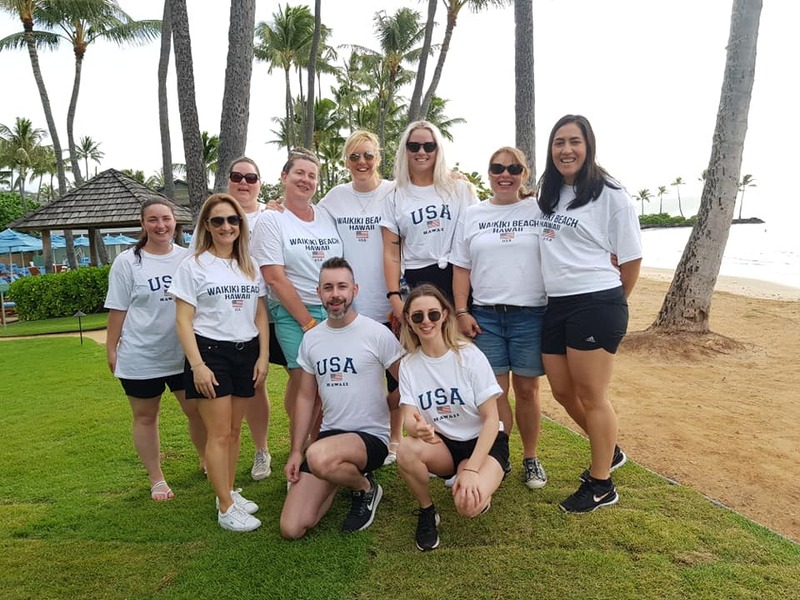 Bottom row from left: Alison Sharp, Travel Managers; Rhiannon Williams, Hawaii Tourism Oceania; Lindsey O’Neil, Hawaiian Airlines; Emma Duval, Taylor & Turner Travel Associates; Tanya Hurley, Travel Associates; Ellie Mastrapostolos, Helloworld Travel Milton. The Hawaiian Islands offer a vast breadth of experiences and attractions ideal for all manner of travellers.